Anthony Dykes Furniture is one of Scotland's best-established upholstery businesses based around the central belt of Scotland. The Dykes family has been making furniture since the First World War, and Anthony has over 25 years experience in the trade, starting as an apprentice upholsterer and learning the traditional skills of his craft from the beginning. Our upholstery work is second to none, and you won't be disappointed with the craftsmanship we have to offer. If you are looking for loose covers for your sofa or suites again, we have a broad range of fabrics available. Loose covers can bring your old sofa to life again so remember to call Anthony for a free quote. With over 25 Years in Upholstery and fabrics we are experience is second to none. View and download our pdf furniture booklets including loose covers, leather and upholstery. Require your leather sofa/suite Upholstery? Over 30 Years Experience with Leather. Anthony Dykes Furnture have all the below qualities that insures 100% satifation for our customers. At all stages of Furniture Upholstery great care is taken to make sure every part of the job is completed to the highest standards. Anthony Dykes Furnture have thousands of samples of fabrics that can all be seen in our Glasgow showroom. We can also do house visits where a selection of these samples can be brought to your home. 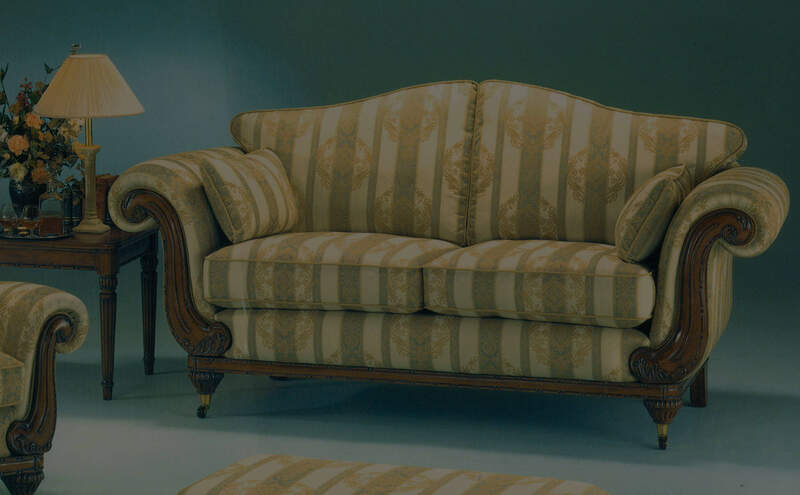 Read more about our custom made sofas and what we can do for you. We undertake the refilling of cushions in sofas and chairs of all types, sizes and shapes. Anthony is also offering to do contract work for any bar, nightclub, bowling club, etc. If your 'bar' needs to be refreshed with a new style of loose covers or reupholstery, please call Anthony for a free quote and a personal visit could be arranged to your premises.